An Intel video card has been installed on the system and the driver is detecting the presence of that Third Party video card. That is to say, there are two video cards in your computer but you are using one of them (the Third Party video card). The Intel driver is trying to install for the Third Party video card. That’s why this error occurs. 1. Open Driver Easy and run a scan. 2. 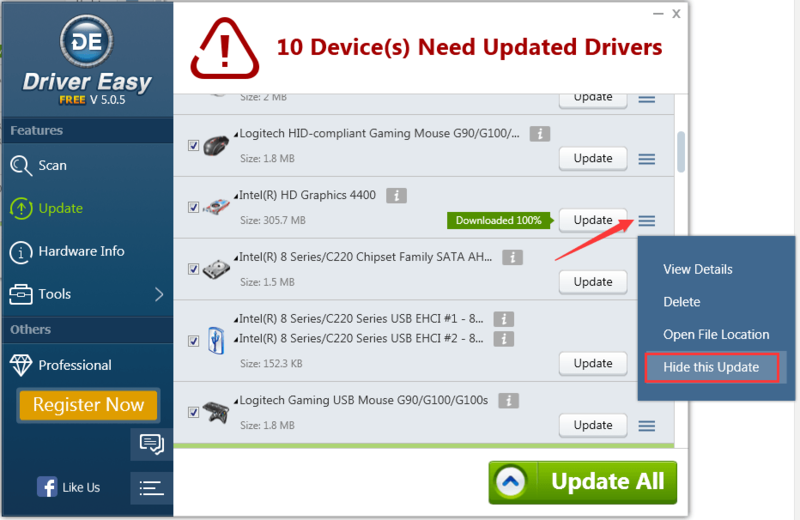 Click Update button to download the Intel Graphics drivers. 3.Click the three line icon near Update button. In the dropdown list, please choose Hide this Update. 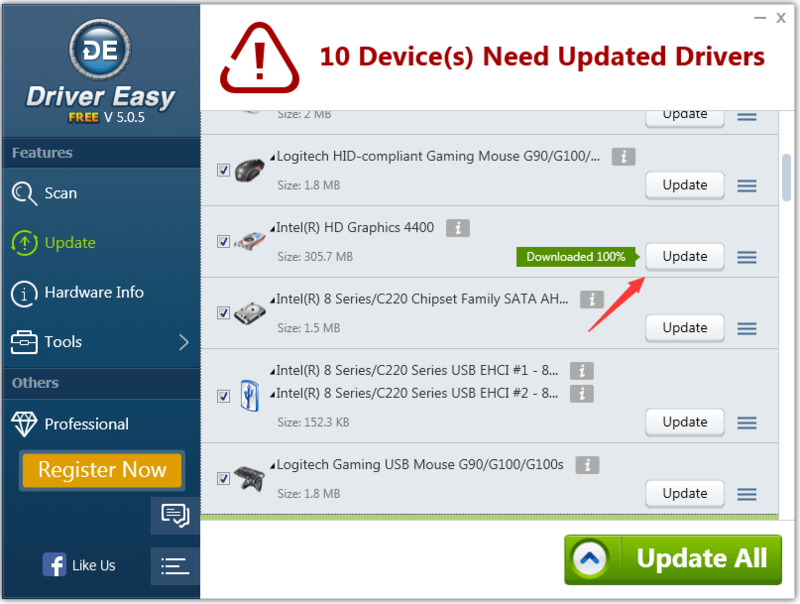 Driver Easy will help you to hide the driver for video card which is not used in the computer. Driver Easy Technical Customer Support provides further assistance to assist Professional User regarding driver issues. As Driver Easy Professional User,Please feel free to email us with your error screen shot to support@drivereasy.com if you need further help.